Skin laxity and sagging can be a true sign of aging, and how you look can certainly affect how you feel. At Dermatology & Laser of Del Mar we are excited to introduce ThermiRF® technology to our already robust menu of cosmetic procedures. ThermiRF® offers multiple applications using radiofrequency (RF) energy, including ThermiTight®, ThermiSmooth® Face and ThermiVa®, which are designed to treat lax, sagging skin so you can put your best face—and body—forward! As an extensively trained and board certified dermatologist, Deborah H. Atkin, MD understands that many patients want cosmetic procedures to offer both noticeable results and inconspicuous signs of treatment. ThermiRF® technology makes it possible to achieve a more youthful appearance without obvious indications of having “work done.” This is because the technique is non-surgical and minimally invasive, utilizing thermal energy to gently stimulate collagen and elastin production where you need it most. Known as the first “injectable RF,” ThermiRF® is an innovative platform that allows Dr. Atkin to administer radiofrequency energy both above and below the skin’s surface. She controls the heat produced by the RF generator. A customized infrared video camera allows her to monitor the procedure in real time and, as a result, she can maintain the ideal temperature necessary to achieve your desired outcome. With the proper level of thermal energy, skin can “shrink” back into closer proximity with your underlying bone structure. During your initial consultation, you and Dr. Atkin will determine which technique or techniques are right for you. 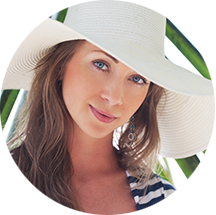 If you want to address your face or your feminine anatomy, the procedure is injection-free. If rejuvenating the body, a numbing solution will be administered and a thin SmartTip™ probe will be inserted below the skin. ThermiRF® requires low downtime and is considered to be a safe and minimally invasive cosmetic enhancement method. You should be able to resume normal activities as early as the same or next day, depending on your individual treatment plan. There are three ThermiRF® applications available from Dermatology & Laser of Del Mar: ThermiTight®, ThermiSmooth® Face, and ThermiVa®. Designed to heat subdermal (below the skin) tissue and firm the underlying structures, ThermiTight® causes the existing collagen in a treated area to tighten, and can also lead to collagen production. A small electrode will be placed under the skin to deliver the energy where needed. Your comfort and care are our highest priorities, and we will make every effort to ensure this experience is as comfortable as possible. Most patients report minimal discomfort, and downtime should only last about a day or often less. Considering a ThermiRF treatment®? Our experienced dermatologist has provided answers to commonly asked questions about ThermiTight®. If you would like to know more, or if you’re ready to schedule a consultation with Dr. Atkin, please reach out to our skilled medical team. How do I know if I’m a good candidate for ThermiTight®? A consultation with Dr. Atkin will help to determine if ThermiTight® is the right procedure for you. She will be able to discuss your areas of concern along with realistic goals. If you’re looking to tighten areas of skin without invasive surgery, ThermiTight® may be the right choice for you. Is there any downtime from ThermiTight®? There is minimal downtime following ThermiTight®. We recommend you wear a compression garment for the first 24 hours following the procedure, then at night for 3-4 nights. You may experience slight swelling, tenderness, or mild bruising. Your physician or nurse will be able to provide you with tips to help with any discomfort post procedure. Why chose ThermiTight® over a neck lift? 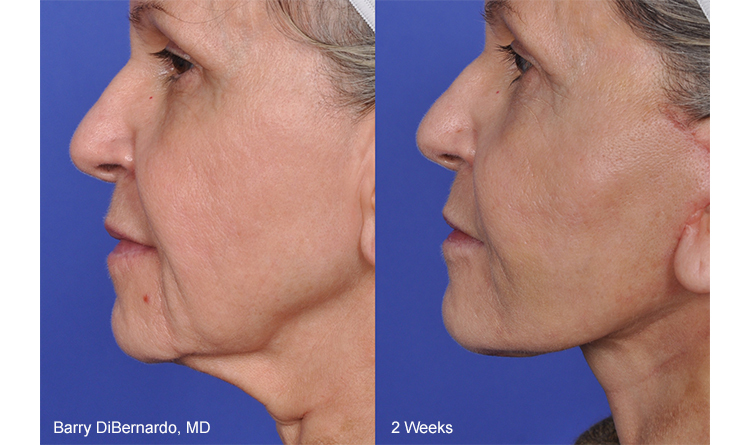 If you’re looking for a firmer, tighter-looking neck and a more defined jawline, but feel you’re not at the point of needing surgery, Thermitight® is a great option. ThermiTight® is a minimally invasive and non-surgical procedure to tighten loose skin and deeper tissues. ThermiTight® is an option for patients that may not yet be ready for a facelift/neck lift, or have had one and want to maintain their results. How long will the results last from the ThermiTight® treatment? The results of ThermiTight® do not “wear off.” Whatever results you receive from ThermiTight® you keep, but the natural aging process of your body will continue. Some patients may consider doing another treatment a few years later to help with upkeep. How many ThermiTight® treatments will I need? Patients typically have one ThermiTight® treatment; however, if you have a significant amount of laxity, you will benefit from doing more than one. It is important to note that results are additive. It is difficult to estimate the amount of improvement a patient will see. It will depend on your tolerance, the degree of laxity, or amount of loose skin, and your overall skin health. All-in-all ThermiTight® patients are very satisfied with the results they see in just a few short weeks. What body areas can I treat with ThermiTight®? The neck and jowls are the most popular areas. The arms, abdomen, knees, inner thighs, and back (bra fat) also respond very well to treatment with ThermiTight®. For facial rejuvenation, ThermiRF® offers a completely non-invasive approach that still utilizes radiofrequency technology. ThermiSmooth® Face generates RF energy into the deeper layers of the skin, but does so with a topical applicator placed on the skin’s surface. The temperature is still fully controlled via a heat-sensing monitor so that our extensively trained medical team can obtain the best possible outcome. A cool gel will be applied to the treated area to enhance your comfort and the results. Once complete, you should be able to return to normal activity immediately. ThermiVa® usually requires three treatment sessions to achieve the optimal outcome, although your program may include more or less. Dr. Atkin will provide all the details during your initial consultation. ThermiRF® and its applications may be used as a single, one-time procedure or in combination with other laser and light therapies and skin enhancements. It may also be performed in a series for additive effect. 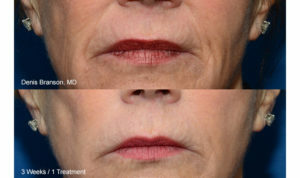 Many patients in our practice pair the ThermiTight® with Ultherapy® to correct mid and upper face laxity and for the improvement of upper lip and periorbital lines (creases around the eyes). Other complementary procedures include the Thulium Refresh Laser Peel for texture and color improvement, or Photofacial (IPL) for reducing brown spots and facial redness. To help patients become well-informed about their options, Dr. Atkin has provided additional information about ThermiRF® and its applications. To learn more about how this treatment can help you achieve your goals, please contact our skilled medical team to schedule a consultation. What is the Length of Time for the Procedure? The time will vary depending on the location and number of areas you wish to have addressed. Some patients can be finished in as little as 30 minutes, but this estimate will vary depending on your unique treatment plan. Dr. Deborah H. Atkin, our board certified dermatologist, performs the treatment to provide the highest level of care and safety possible. Most patients can return to their normal routine right away. Some swelling, redness, and tenderness in the treated area is normal and should subside with time. Makeup can be worn on the face to cover these effects if desired. Dr. Atkin will provide additional information about limitations on activity if appropriate for your treatment plan. What Are the Final Results of the Procedure? Smoother, firmer, and younger-looking, skin in the treated area. 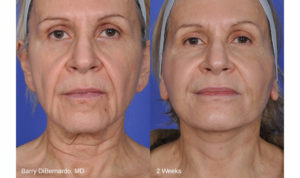 Most patients begin to see and feel some of the effects soon after the procedure, with additional benefits developing over time as collagen is produced. ThermiRF® therapy can be combined with a number of other cosmetic enhancement treatments, including Ultherapy®, cosmetic injectables, laser skin resurfacing, and many other options. We encourage you to talk with Dr. Atkin about your concerns and aesthetic goals so that she may customize your experience and help you achieve the desired outcome.